More than just lumber and hardware… Alpine Lumber Granby sits in the heart of Grand County… a year-round weekend getaway destination for people wanting to escape the hustle and bustle of Denver. With the recent addition of a covered storage shed and the paving of our entire property, we are now your go-to facility for all your building needs. We offer a wide range of building materials, including trusses, windows, doors, mouldings, cabinets, and log home maintenance products. We also have an amazingly talented in-house kitchen and bath designer. 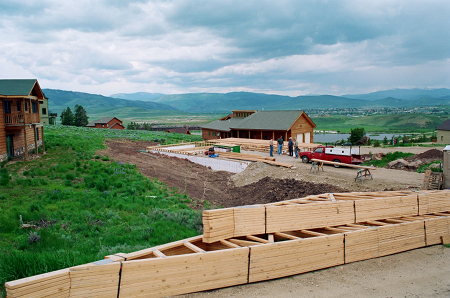 Alpine Lumber Granby is a member of the Grand County Builder’s Association. We sponsor many events through this organization, as well as the Grand County Concert Series, Shining Stars, 4H, Mountain Family Center, YMCA of the Rockies, Fraser Valley Rec, Rural Health Network, Lions Club, Boy Scouts, and Rocky Mountain Warriors… to name a few.